The Kalevala is the national epic of Finland and Karelia as well as one of the most important works of Finnish literature. It was compiled by poetry collector and philologist Elias Lönnrot from Finnish and Karelian mythology and oral folklore. The Kalevala made a significant contribution to the development of the Finnish national identity and the intensification of Finland's language strife. This processes in the Finnish society eventually led to the adoption of the Finnish declaration of independence in 1917. Lönnrot published the first version of The Kalevala on February 28, 1835. The anniversary of this event was declared an official day for celebrating Finnish culture and heritage throughout the country. 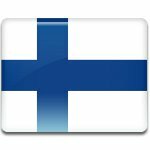 On the day, the Finnish flag must be flown from all public buildings from 8 AM to sunset.